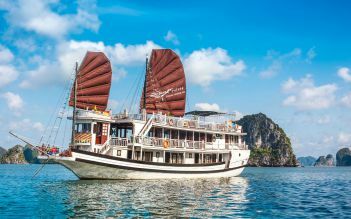 Strives to offer unforgettable travel experiences in Halong Bay, Hera Cruise focuses on attentive services, qualified excursions, and world-class amenities. He rich wooden interior throughout the boat creates a warm and inviting atmosphere, and there are plenty of activities to keep you entertained. With a whole host of conveniences, your vacation truly begins the moment you step foot on the boat. 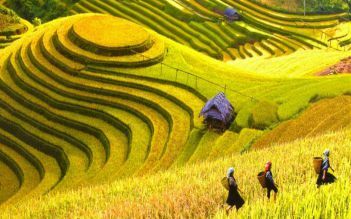 07:30– 08:30 Optional tour guide and bus pick you up at your hotel in Hanoi old quarter. 15:45 – 16:45 You could choose one out of two options as below. 19:30 Dinner with A La Carte menu followed personalized care – Floating village theme. Option 2: Dong Tien Lake for kayaking. 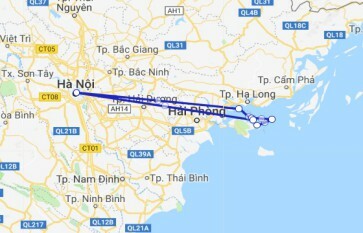 16:00 – 16:30 Arrive in Hanoi. End your trip. 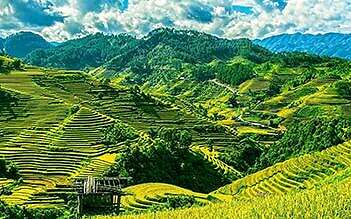 We book 2 rooms for this cruise with balcony. One room for our parents and one for us. 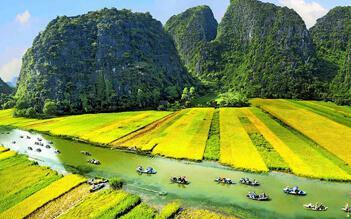 The pick up was great with a luxury van experience from hanoi hotel to halong bay. The food on cruise was amazing and can be cater if it does not fit your diet. Drinks were a little pricy but the cruise itself have a nice room and great service staff. Activities on board was great with visitation to cave and fishing village. 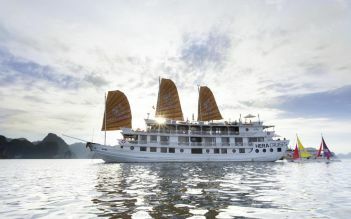 Since the cruise caters to Small group of 20 its better than other cruises that has many ppl on board. You have more Private time and also getting to know ppl on board as friends. Would totally recommend this cruise!! I absolutely enjoyed staying at Hera Cruise. Every meal that I ate was so tasty, and also you can choose your course at dinner time from starter to dessert. When I was dining, staffs kindly explained about food. Especially for my table, one of the crew Sam was so helpful, kind and speaking great English, so as other crew too. Also the room condition was perfect. 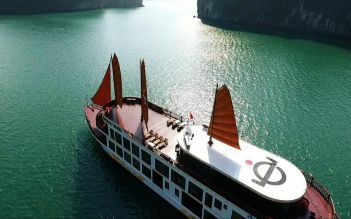 They also offer three tour in Halong Bay, visiting Luon Cave, Ti Top Island and Sung Sot Cave with guides. 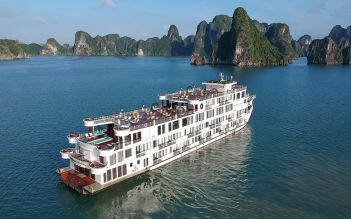 I loved the days there and I gladly choose Hera Cruise again if I have chance to visit Halong Bay once more.